· Cleaning household furniture, appliances…? · Cleaning boats and aircraft…? · Looking for an easy cleaning solution…? VuPlex® has the solution for you! The product originally created for the aviation industry, has become a household name. 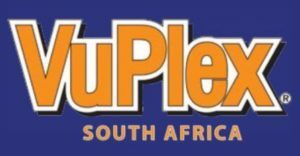 VuPlex® works on countless plastic products, preventing premature wear while helping them to look their best. This product produces a shiny, cleaner, more lustrous finish with no smears or smudges. It makes coloured plastics vibrant, clear plastics virtually transparent and plastic paints gleaming like new. MAKE THOSE TOUGH CLEANING JOBS A PLEASURE, ORDER NOW ! An easy and effective way to clean, protect & polish all clear and coloured plastics. Existing cleaners are often messy, ineffective and/or difficult to use. Many products actually contain chemicals or abrasives that can damage the surface of plastic.